Share a little bit of your home's famous hospitality with friends or savor it for yourself with this power reclining loveseat. This full-feature loveseat includes not only multi-position power recline but adjustable power headrests and complete lay-flat recline. The lay-flat mechanism is included on each seat and can accommodate users up to 350 pounds for daily use. And if that doesn't impress your friends, they'll love to see how you can charge your mobile devices via the built-in USB port without ever leaving your seat. The Latitudes-Springfield Power Reclining Lay-Flat Loveseat with Adjustable Headrests and USB Charging Ports by Flexsteel at Zak's Home in the Tri-Cities, Johnson City, Tennessee area. Product availability may vary. Contact us for the most current availability on this product. You're looking for something really special when furnishing your family room or laid-back living room. It's got to have incredible comfort, unforgettable features, and a great look. 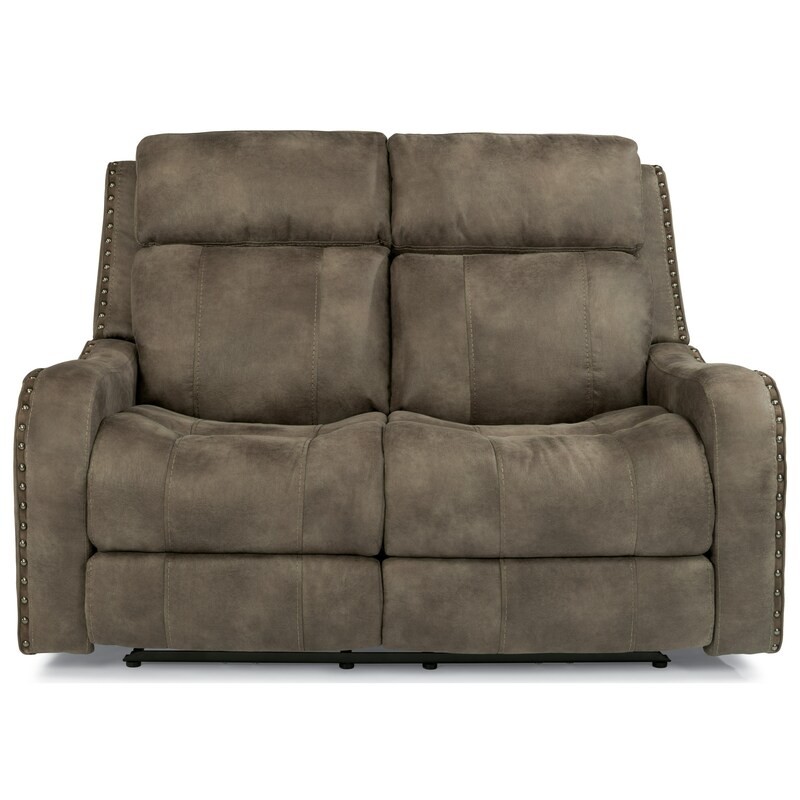 The Springfield collection brings all this and more with power recline, power adjustable headrests, and a heavy duty lay-flat mechanism (lay-flat mechansim not included on glider recliner). The large nailheads and weathered look of the upholstery creates a handsome, masculine appeal that works well in rustic designs or more sophisticated transitional looks. The subtle masculine edge even makes the Springfield collection a great choice for the Man Cave. The Latitudes-Springfield collection is a great option if you are looking for Transitional furniture in the Tri-Cities, Johnson City, Tennessee area. 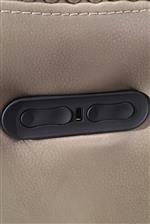 Toggle Switch Controls Headrest and Recline. USB Charging Port at Center. Browse other items in the Latitudes-Springfield collection from Zak's Home in the Tri-Cities, Johnson City, Tennessee area.